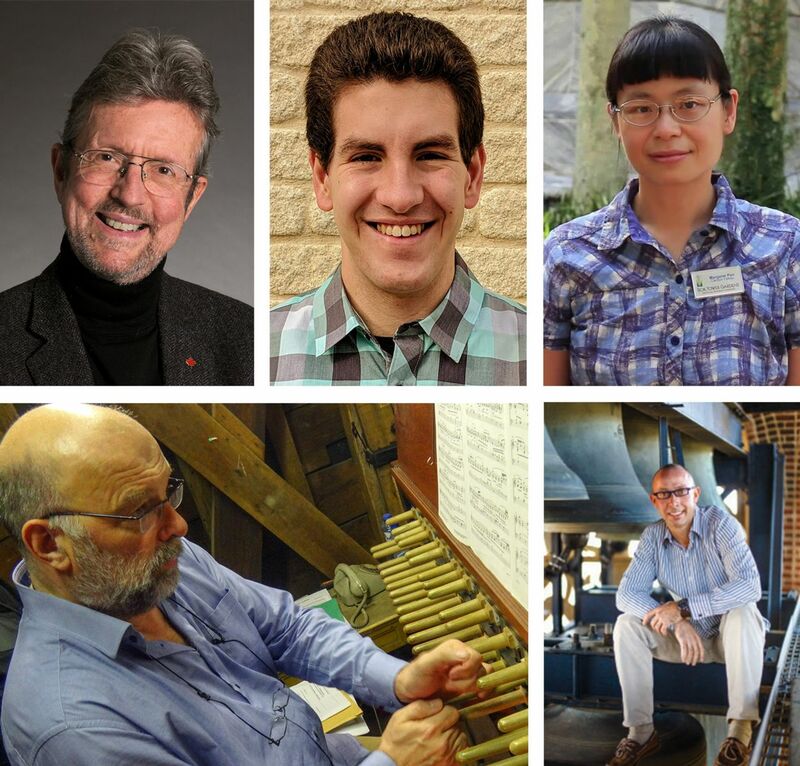 NEW WILMINGTON, PA – Westminster College’s Summer Carillon Concert Series returns this summer with five weekly carillon concerts July 5 through Aug. 2. Each concert will be held at noon on Fridays, with lawn seating on the quad outside of Old Main. Gordon Slater, July 5: Gordon Slater, retired Dominion Carillonneur of Canada, has performed widely in Canada, the United States, England, Europe, Australia and New Zealand. While Dominion Carillonneur, he played the Peace Tower Carillon at the Houses of Parliament in Ottawa for 31 years. He has been a carillonneur member of the Guild of Carillonneurs in North America for more than 40 years. He also held the position of carillonneur at three Canadian locations: the Rainbow Tower Carillon in Niagara Falls, Ontario; the Carlsberg Carillon of the Canadian National Exhibition in Toronto; and the Soldiers’ Tower Carillon at the University of Toronto. He holds the Berkeley Medal of Honor from the University of California at Berkeley for distinguished service to the carillon. Slater also conducts Divertimento Orchestra, a 70-piece amateur symphony, and plays bassoon and contrabassoon with the Ottawa Symphony Orchestra. Carl Van Eyndhoven, July 12: Carl Van Eyndhoven, carillonneur of the cities Tilburg in the Netherlands and Mol in Belgium, is renowned for his jazz improvisations on the carillon and has performed in Japan, Denmark, the United States, Ireland, Poland and Germany. He studied organ and music pedagogy at the Lemmensinstituut of Leuven University in Belgium and carillon at the Netherlands Carillon School. He also holds a Ph.D. in 17th century carillon performance practice from Leuven University. He is Head of Research (Music & Drama) at the Faculty of the Arts (LUCA - Leuven University). Eyndhoven is president of the Béla Bartók Archives of Belgium and Expertise Center for the Heritage of Music and Performing Arts. He was also the chairman of the Flemish Carillon Society from 2000-2012. Alex Johnson, July 19: Alex Johnson, a native of Dallas, did not discover the carillon until college. While he earned a degree in physics in December 2018 from the University of Rochester, Johnson has dedicated spring 2019 to carillon performance and composition through a fellowship program at Bok Tower Gardens in Florida. Johnson is currently pursuing graduate work in music theory and composition, as well as a career involving carillon performance and teaching. Margaret Pan, July 26: Margaret Pan began studying carillon in 2007 at Princeton University with Robin Austin, Princeton University Carillonneur. She passed the carillonneur’s exam of the Guild of Carillonneurs in North America (GCNA) in 2008. Pan graduated from the Royal Carillon School in Belgium in 2012 and spent the fall of 2015 as a carillon fellow at Bok Tower Gardens in Florida. She also holds degrees in physics and astrophysics from the Massachusetts Institute of Technology (MIT) and the California Institute of Technology. Currently a freelance carillonneur in the Boston area, she also performs across the United States, Canada, Belgium and the Netherlands. Geert D’hollander, Aug. 2: Geert D’hollander studied piano, chamber music, choral and orchestral direction, fugue and composition at the Royal Conservatory in Belgium and carillon at the Royal Carillon School in Belgium. D’hollander, currently a carillon composition teacher at the Royal Carillon School, was named the Bok Tower Gardens’ fourth full-time carillonneur in 2012. He earned the Berkeley Medal of Honor from the University of California at Berkeley for Distinguished Service to the Carillon in 2008. All concerts are free and open to the public. Guest are encouraged to bring a lawn chair or blanket to sit on and a lunch to enjoy during the concerts. Seating will be available in the Wallace Memorial Chapel in the case of inclement weather. For more information, contact Diane Gabriel in the Office of Faith and Spirituality, at 724-946-7117 or gabriedl@westminster.edu.